- KATHY ROBERSON: A VIEW ON HOLIDAY ART - Teachers.Net Gazette - STRESS RELIEF, STUDENT MOTIVATION, ORGANIZATION IDEAS, CLASSROOM MANAGEMENT, LESSON PLANS, DISCIPLINE, AND MORE - featuring columns and articles by top names in education and your teacher colleagues around the world! The Teachers.Net Gazette is a clearinghouse for teacher writing, from well-reasoned education essays to teacher prose, poems and humor! Bookmark the Teachers.Net Gazette and tell a friend! Kathy Roberson is a 1979 graduate of Eastern Illinois University in Art Education with a Specialist Endorsement, as well as being certified in general Education for grades Kindergarten through Nine. Besides her twenty-two years of experience teaching Art, Kathy has been very active in Integrating Technology into the Classroom and has presented several Professional Development Workshops on the use of computers in the classroom for her district. When I was an undergraduate majoring in Art Education, I was told repeatedly, "No Holiday Art!" by my Professors. The idea seemed to be that the Fine Arts had no business being adulterated by the pettiness of a mere holiday art project. Art Education majors were expected to go out and teach the masses about the loftier aspects of art, we were to teach color, design, theory and technique! The first few years of my Art teaching, I avoided holiday art like the plague. High above doing pumpkins or turkeys or Christmas trees, I was the Art Educator for my district and teaching the concepts of art was my mission. The projects I presented were restricted by what I had learned at the University, and sadly some were not readily accepted. The reason was that the students were doing seasonal art projects in their classroom. 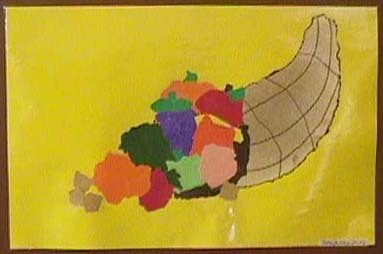 To most, Art class was just to do and learn art, not anything fun to do with holidays. When this realization came to me, I rebelled against all that had been taught to me during my college days. After all, I was a highly trained professional in all areas of art. Why should holiday art not be addressed? Couldn't holiday art be integrated into a Fine Arts Program? My answer is YES it can. Art Educators can successfully teach many aspects of Fine Arts concepts through holiday arts and crafts. With ingenuity, many of the basic principles of art can be introduced to the students and they can also have fun while they learn these concepts. Besides learning all of these various applications used in Fine Art, the students loved making them and were proud of the art they had created. 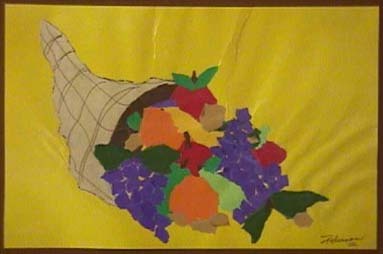 This is just one example of how we can use holiday art to reinforce the basic skills needed to produce Fine Art. I have learned in my twenty-two years of being an art educator that children learn the best when they are enjoying what is being taught! Look at your State Goals for teaching Art. What project would you like to do and how could you relate that project to those goals? Many holiday art projects involve several tasks. These aren't restricted to just goals in art. Some projects involve measuring with a ruler, a compass or a protractor. This type of project would correlate with math. Integration of history, science or language goals are always present with any project. Be creative in your presentation of the project. Show each step and have examples. Explain why you have chosen this project and what skills you want the students to gain by doing it. Critique the students' work in progress. Show them ideas on how their project could be better. Give overall design instruction and reinforce the guidelines on what you expect in their workmanship.